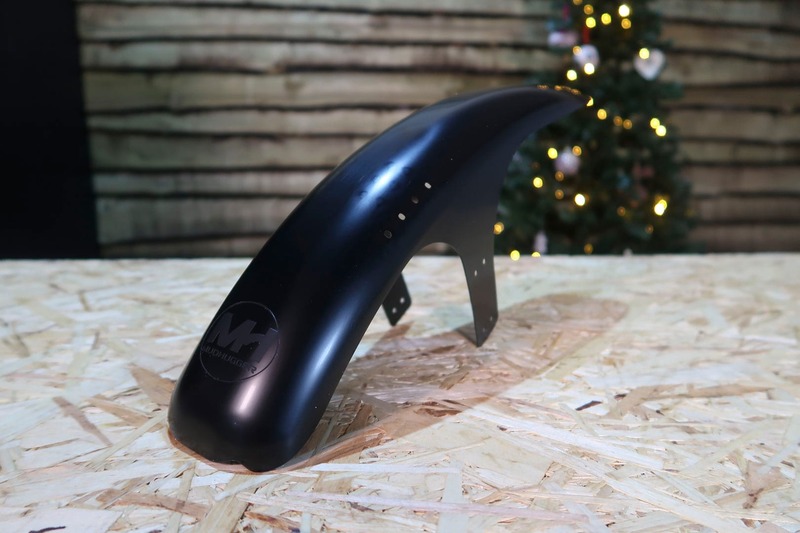 It’s getting wetter and muddier by the day, so what better prize to offer in Day 4 of our Christmas Countdown giveaway than one of these excellent Mudhugger FRX mudguards! Big and shiny enough to keep you, well, clean and shiny too. The FRX (Front Race) was designed with the help of World Cup and Enduro World Series riders during 2014. Weighing in at only 80g but measuring 450mm in length the FRX provides awesome mud/spray stopping performance without breaking the bank. With various holes for fitting to different fork braces, the FRX Hugger is suitable for all wheel sizes, 26er, 650B and 29er wheel. Stick one of these on the front of your bike to keep clean this winter. 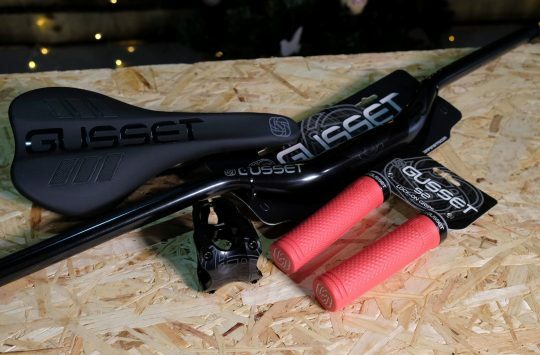 It also works on Plus wheels with tyres up to 3 inches wide in a ‘Boost’ fork. 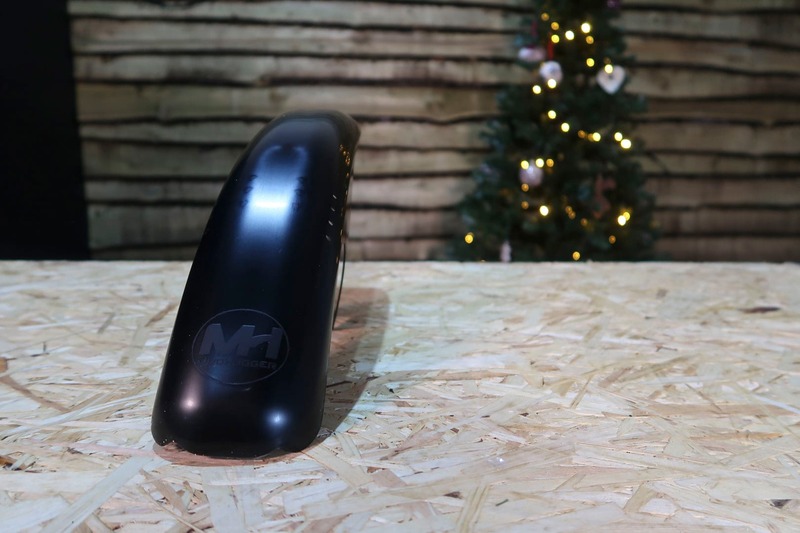 For the ultimate protection on your bike add a front Hugger MAX extension (£7.50) to make your bike no home for the mud. Watch the following video and answer the question below. What was Andi drinking during this video? Now that you have watched the video and know the answer to our question all you need to do is send it to us. You must be a registered user of our site to enter our competitions. Registering is quick and FREE. Click here to sign up. Simple! 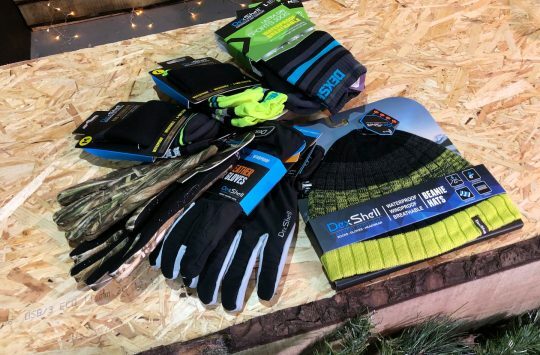 Do that, and not only will we enter you in the draw to win today’s gift giveaway, but we’ll also give you one entry into the Mega Box Of Joy giveaway – this is a box containing one of everything we give away each day. It’s a big box! As a bonus prize, whoever wins the Mega Box Of Joy will have the option of joining us here for a day of coffee, riding, coffee, tea, fish and chips, and maybe even a cheeky beer. 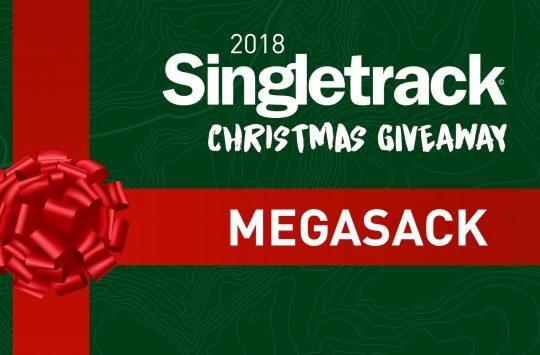 Because the Mega Box Of Joy is going to be such a monster, we’re going to have to restrict the entries to this to those with a UK delivery address, or to anyone who is prepared to come along to Singletrack Towers and visit us for the day and collect it. Today’s daily prize is open to those who can provide a UK postal address. Review: Kona's Unit X is like a singlespeed, but with 10 more gears?